My parents sent me this. 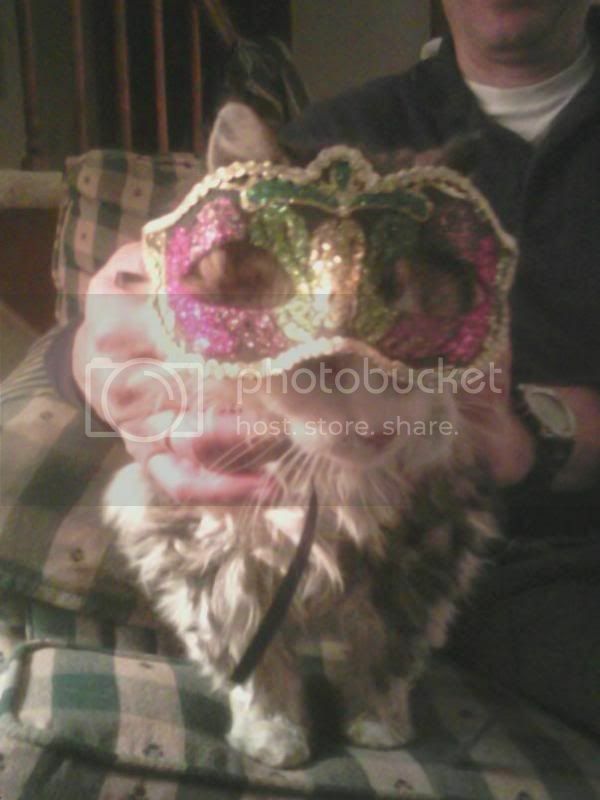 It's our poor old cat, Billy, wearing a mask my father got after a business trip to New Orleans. He's the original fat cat (Nomar wins by a landslide now, however) wishing you a happy Fat Tuesday. hahahahha the cat looks really cute with that mask on !! CUTE KITTEN in a mask! Following you now. Thanks for the sweet comment on my blog.